Sustain Mizzou is hosting an E-Waste Drive this week in collaboration with Mid-Mo Recycling to help students and local residents get rid of their unwanted electronic waste in an environmentally responsible way. The Investment Recovery Association claims that in 2014, approximately 41.8 million tons of e-waste was generated worldwide and those numbers are only expected to grow. 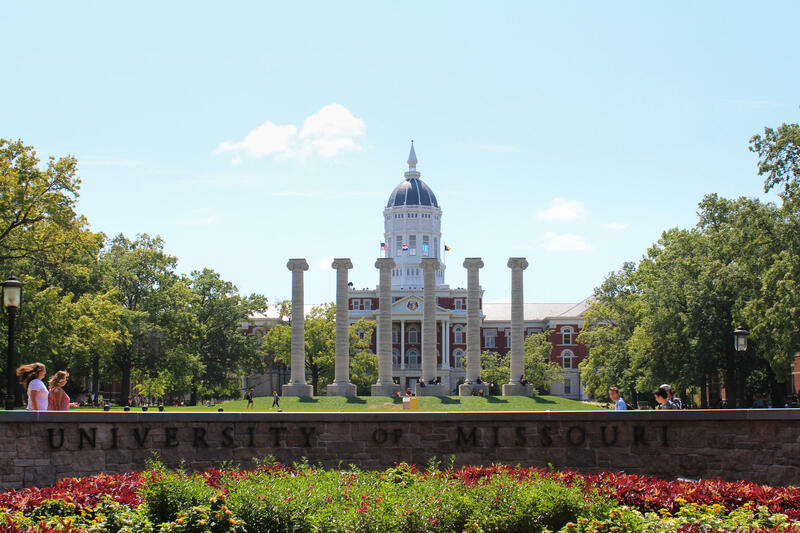 The six independently standing columns in front of Jesse Hall serve as a major landmark at the University of Missouri. E-waste is almost any electronic device except tube TVs, Sustain Mizzou member and E-Waste Drive organizer Madalynn Owens explained. Sustain Mizzou provides multiple opportunities every year for people to bring in their e-waste. According to Owens, every drive collects around 200 items. E-waste can be a waste of money. For every million cell phones recycled, 35 thousand pounds of copper, 772 pounds of silver, 75 pounds of gold and 33 pounds of palladium can be recovered according to the United States Environmental Protection Agency. Many electronics also contain hazardous materials. Cell phones contain lead, mercury, beryllium, arsenic and cadmium- toxic materials that can leak into soil, air and water, which pollutes the environment. Recycling isn’t the only option. Donating functioning electronics for second-use is also environmentally friendly. Sustain Mizzou’s ongoing E-Waste Drive will be in the MU Student Center on Wednesday, March 20 from 10 a.m. to 2 p.m. and Thursday, March 21 from 10 a.m. to 2:30 p.m.